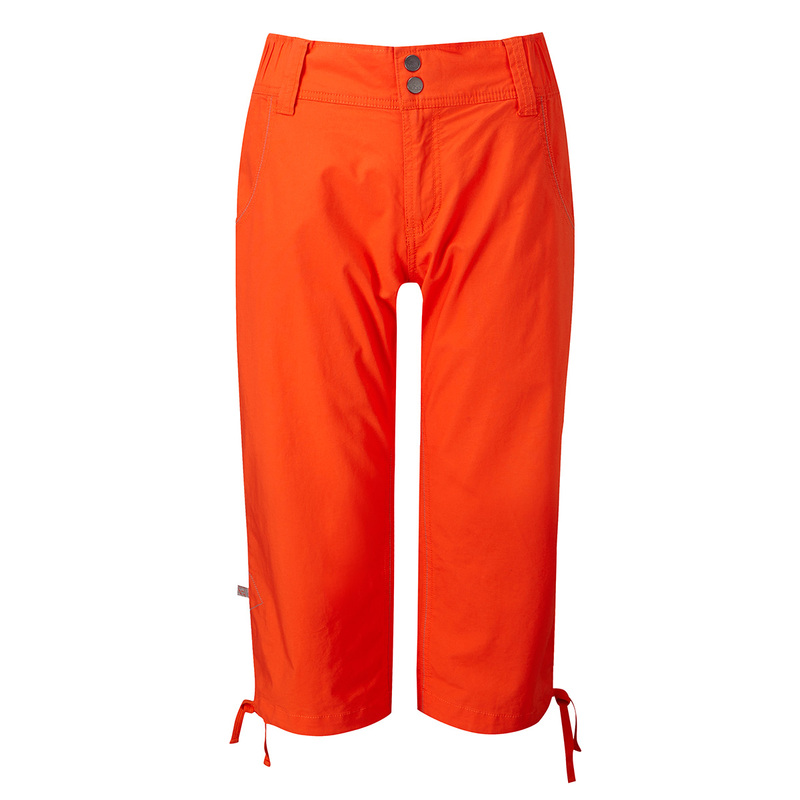 The Rab Women’s Valkyrie Capris are stretchy cotton ¾ length climbing trousers designed for bouldering and wearing at the climbing wall. New for 2016, the Rab Women’s Valkyrie Capris feature a wide, partly elasticated waistband, articulated knees and twisted side seams to give you the best freedom of movement, while drawstring hems can be kept out of the way when you’re really sending. These stylish climbing capris also have two hand pockets and a snap-closure button that feels comfortable under a harness, while the blend of cotton and Spandex is guaranteed to feel comfortable and look awesome whether you’re having a big session at the climbing wall or popping out for a morning coffee.